It is interesting to experience other cultures’ perception of both age and gender while studying abroad. As a female, nontraditional student studying abroad, I knew it would be challenging, but I was still surprised by the differences when I got to Kyrgyzstan. For example, it was rather mind-boggling for a lot of people in Kyrgyzstan when they found out I was 24. “Why aren’t you married? Are you going to marry a Kyrgyz man?” were the first things that they asked. 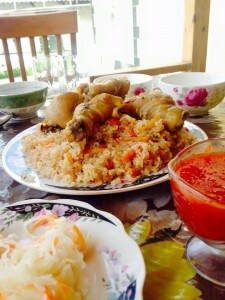 Plov, a popular dish in Kyrgyzstan that I learned how to make while studying there. Normally I turned to them, eyes wide, and exclaimed, “but I’m so young!” That normally led to a fun and awkward conversation during which they basically told me I’m old in Kyrgyz standards. Sometimes, I would mention my boyfriend in the United States, but that was quickly discarded because what sort of girl would leave a marriageable boyfriend to go study abroad? Furthermore, one should marry someone from Kyrgyzstan. One of my host sisters, Aida, originally had hopes of transforming me into a good wife. She quickly lost hope, however, finding that I am literally “crazy” when it comes to economics or scholarships but am rather lacking in the homemaking department. It turned out that my unwifely-ness was a great icebreaker when guests and family come over. We joked about how I would cook macaroni every day for every meal and not be able to serve tea properly. Surprisingly, even having heard all of this, people told me that they’re still going to find me a Kyrgyz husband. I guess they thought I was just joking about the macaroni. 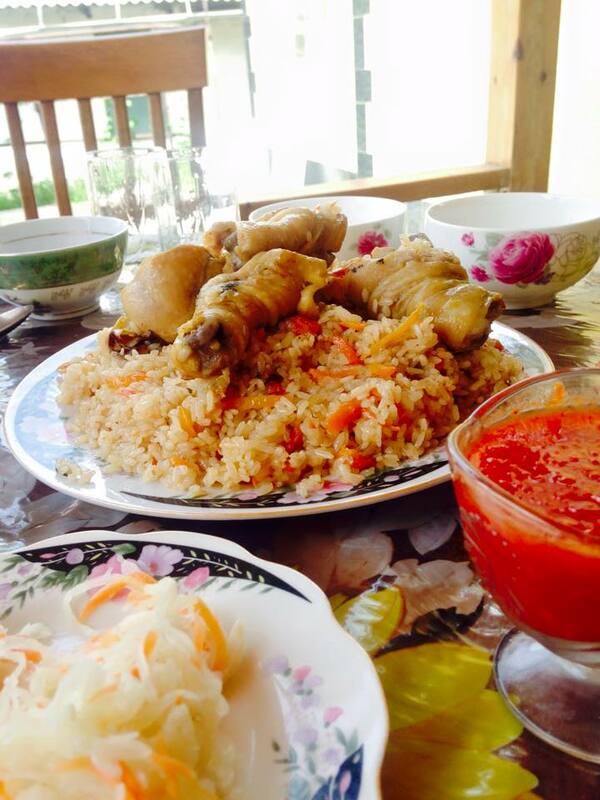 These experiences caused me to reflect on the different values between the US and Kyrgyzstan. In Kyrgyzstan as well as many of the other post-Soviet nations women are often expected to be housewife, mother, and provider. The social pressure to look perfect and be marriageable woman made me reexamine what life must have been like for my mother and grandmothers too. Until I was in the situation where the gender roles were more prominent, I had not truly understood how much women’s rights in the United States have progressed.